Something that is crucial when using Twitter for business is to know who you it is you are trying to speak to so that the right people see your content. Sounds simple, right? Figuring out who it is you really want to speak to is easier said than done. This blog post will introduce buyer personas, why they are an important part of your Twitter strategy and go over what aspects keep in mind when creating them. According to Social Media Examiner, a buyer persona goes way beyond the definition of your target audience. A buyer persona is a fictional person that represents your target audience. Your buyer persona combines demographics (who they are), and psychographics (what their behavior and desires are). 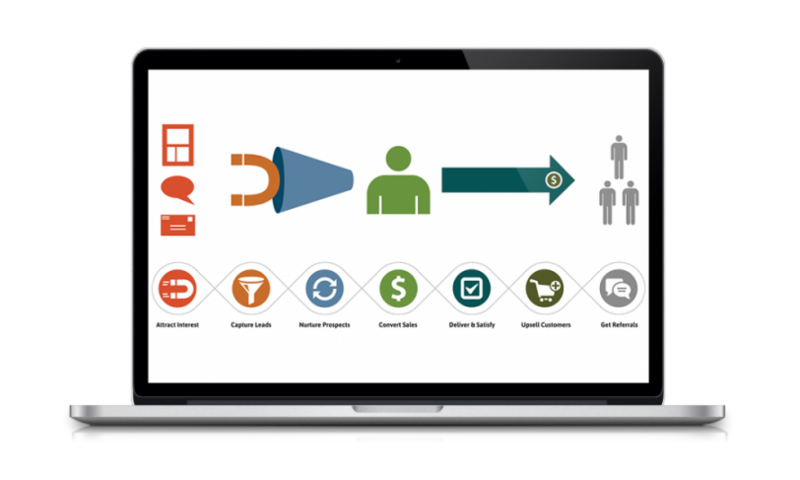 Your buyer personas should be built from the real words of real buyers and consumers. They tell you what a prospective customer is thinking and doing as they weigh out their options to address a problem that your company happens to solve. Do not confuse buyer personas with target markets, job titles, or specific real people. It may seem a bit overwhelming at first, but creating personas is very important if you are choosing to incorporate Twitter into your marketing strategy. If you try talking to everyone, then you’re talking to no one. When you are creating your message, you want it to attract and resonate with your ideal customers. Who are the RIGHT people, though? This is the first question you need to answer before developing the rest of your marketing strategies. Using Twitter to help create your buyer personas is beneficial for many reasons. Twitter can help you understand the different types of consumers who purchase a specific product. When you have deep insights into what your buyers think and how they feel about doing business with you, you will have the knowledge you need to move forward with your marketing strategy and you’ll have a clearer idea of the direction you’ll want to take with your content. You can then start developing the right relationships with the right people and you can avoid putting your energy into nurturing relationships that won’t help you accomplish your business goals. Another reason it is important to develop personas for your marketing is because you can’t go after a generic target market if you want to create successful marketing strategies. Something that many companies struggle with is segmenting their customer base and generating separate marketing materials for each persona they want to reach. By segmenting your customers, you will have a better understanding of current and prospective clients. Now that you know the importance of having buyer personas to strengthen your marketing strategy, you need to know how to develop them. You can use Twitter as an extremely beneficial resource when diving into your buyer persona research. Twitter is a goldmine when it comes to gaining knowledge about people’s habits and behaviors. You just may not know who you are trying to reach yet, that’s where this section will be helpful. Some ways to find out who the people in your audience are is seeing how they describe themselves. Look at their bios on their Twitter accounts and you’ll notice that many of the bios are packed with valuable information about the person such as their job title, some things they are passionate about, and where they live. If they include a profile picture, it should be obvious if they are male or female. If you want to learn more about their demographics like their age, education, and salary, you can always continue your research for them on LinkedIn and Facebook to dive deeper. What Twitter accounts are they following? Another good way to learn more about your audience is to see who they are following on Twitter. You can do this by simply going to their profile and clicking on the “Following” button and it will show you every account they follow. You can find people based on who they follow to determine who is interested in what your message will be. If you are a yoga studio, then you can search for people following a ton of health and wellness accounts. If you are targeting business owners or executives, then you can target people following a lot of influential people in HR or business type accounts. Not only should you search your personas based on who they are following, but it could be helpful to see who follows them. Go to someone’s profile and click on “Followers” to get an idea of the types of people following them. You can use hashtags to find your personas on Twitter as well. You can start with generic hashtags for your industry such as #SocialMediaMarketing or #HR to find conversations people are having. Then you can see what other hashtags those people are using and start monitoring them as well to help find your audience. What sites are they reading and sharing from? Not only can you monitor the hashtags people are using, but you can also see what sources they are sharing content from by clicking on any links they share. You can then get a better idea of what they are interested in and what their favorite sources are. Seeing who people follow and the people that follow them is a good start, but if you monitor who they actually interact with often, you can better create your personas. If someone mentions someone in a lot of their Tweets and retweets someone often, you may want to look into that more so you can see who their influencers are. What Twitter Chats are they in? One more way to learn more about your audience and your prospects is to see if they are involved in any Twitter chats. You can find Twitter chats on sites such as Tweetreports or Twubs. Once you have a list of chats, it will show you the hashtag being used and you can search on Twitter to see who is using that hashtag. Knowing your audience is crucial to the success of your business. Now that you know what buyer personas are, why they are an important part of your marketing strategy, and ways you can learn more about your prospects by diving into their Twitter accounts, you can now start developing your personas so you have a clear idea of the people you truly should connect with on Twitter that could soon become a loyal customer and brand ambassador.